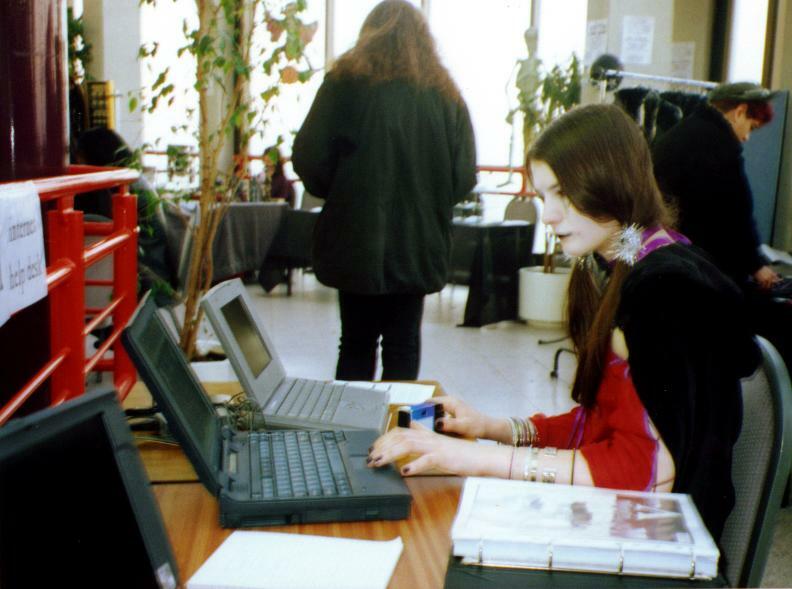 At the second Whitby Gothic Weekend (31 Oct - 2 Nov 1997), several people from the uk.people.gothic mailing list arranged a technical helpdesk stall at the Bizarre Bazaar (Saturday 1 Nov). 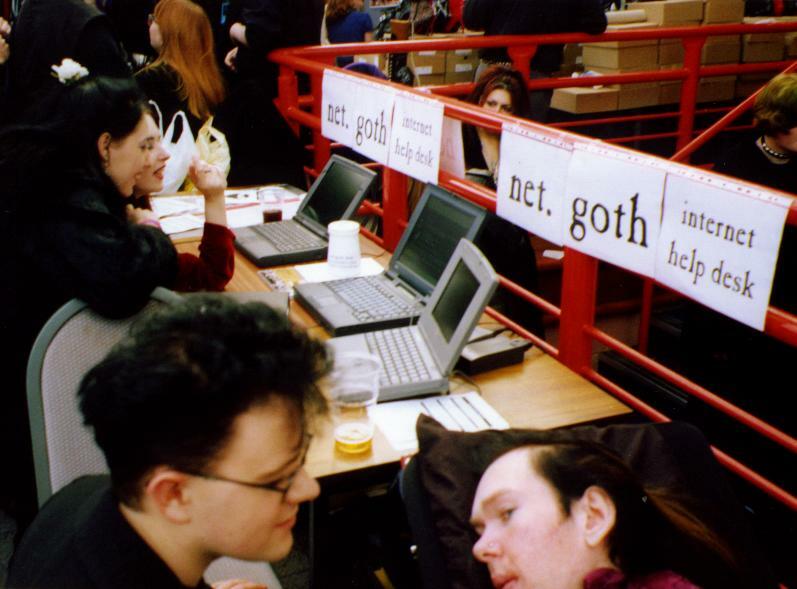 The purpose was to encourage offline goths to come online and strengthen the net.goth community. With broadband, GPRS and WiFi not yet hitting the mainstream, and a temporary ISDN connection too expensive (although it was considered), the solution was to create an offline static repository of some representative websites and a couple of text files. These were loaded onto laptops which had been loaned for the day. Roy and James Savage (CountB) at the bottom. James at the bottom the picture. 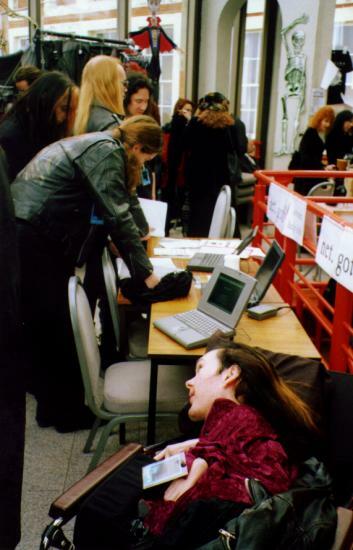 Nam-Vets was a mailing list for a group of friends from Cheltenham (Cheltenham-Veterans), who had met through Cheltenham & Gloucester College of Higher Education and through the Heaven & Hell indie / goth / industrial music night at Gas Nightclub. Nam-Vets ran from the 12th of March 1998 until the 5th of June 2008. The website nam-vets.org contained a gallery of members, a social diary and some news feeds (screen-scraped using CGI, as RSS hadn't been invented). An archive of all posts is available as a password-protected .zip file (email andrew@aoakley.com ). In particular, you may be looking for my Throttled WiFi Hotspot and PPTP VPN Howto which you can read in full, without downloading the archive .zip file.